The Sydney Coastal Councils Group is seeking a self-motivated and experienced Support Officer to undertake administrative duties and secretarial support. This is a part-time 12-month contract position in a small team (15 hours per week, $25.50-$28.20 per hour, plus super). To be successful in this role, you will have a minimum three years’ experience working in a business administration role, possess excellent attention to detail, organisation and computer skills, demonstrate good written and verbal communication and the ability to collate and report on information, and have an interest in the coastal environment. For further details on this position and the application process download the position information package. 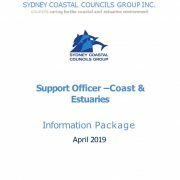 A cover letter, resume and a statement for each selection criteria should be emailed to info@sydneycoastalcouncils.com.au by the closing date: 5pm 6 May 2019. Data is being collected to better understand the impacts of heat-stress on flying-fox species and to build a repository of flying-fox heat stress events. 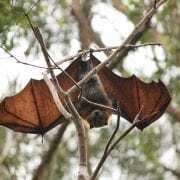 If you have information on a local flying-fox camp that has been affected by heat-stress (past or present) please complete the Flying-fox heat stress data form developed by Western Sydney University, Melbourne University, CSIRO and Australian Bureau of Meteorology. Endangered shorebirds in the Sydney region are being threatened by irresponsible pet owners illegally allowing their pets onto protected beaches. Some of Sydney’s beaches provide vital habitat for species such as the threatened Little Penguin and the Pied Oystercatcher. 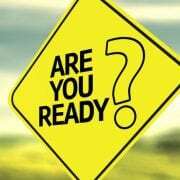 Dogs are a key risk to these birds which can disturb nests, maim and even kill adults and their young. 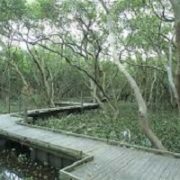 Sydney Coastal Councils Group (SCCG) represents nine estuarine and coastal councils in Sydney and supports these councils to have biodiverse, clean and healthy waterways. Sarah Joyce from the SCCG says that “we are urging the public to obey signs on beaches which identify if there are any restrictions to public access”. Dogs are prohibited on the majority of beaches in the Sydney region – if you see dogs on protected beaches, please call your Council ranger immediately”. 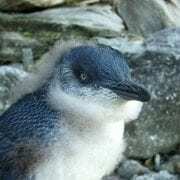 The endangered Little Penguin population in Manly has been previously decimated by foxes. Important habitat for this species is located in Little Manly and the beaches of North Head. Volunteer penguin wardens regularly patrol beaches in Manly to ensure the public is aware of the rules that operate in Little Penguin habitat. They have been extremely disappointed to see that some owners are allowing their dogs on protected beaches. “The presence or even smell of dogs on these beaches deters penguins from going to their nests which means that their chicks are not fed. We have also had examples of dogs on beaches killing penguins” said Sally Garman, who is the Manly penguin warden coordinator. In the Sutherland Shire, members of the Southcoast Shorebirds Recovery Group, Sutherland Council and others have been working diligently to save the Pied Oystercatcher at Maianbar. There are only 250 birds remaining in NSW and key threats to this species include predation by dogs and trampling of nests by humans. Councillor Lynne Saville, Chair of the Sydney Coastal Councils Group (SCCG) has reported that “some Councillors from its member councils are concerned there may be adverse environmental impacts on water quality in the Sydney and Middle Harbours as a result of construction work associated with the Western Harbour Tunnel and Northern Beaches Link Tunnel”. SCCG represents 9 estuarine and coastal councils in Sydney and support our councils to have clean and healthy waterways. “It is vital that rigorous controls and safeguards are put in place to reduce any impacts upon our beautiful waterways”, says Saville. 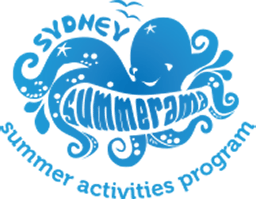 SCCG supports its member Councils to achieve important water quality objectives that enable safe swimming at Sydney’s harbour and coastal beaches. 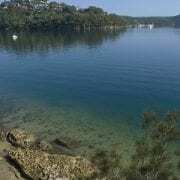 It is currently working with the NSW Government to deliver a coastal management program (CMP) for Sydney Harbour which was recently announced by the Minister for the Environment Gabrielle Upton MP (https://www.nsw.gov.au/news-and-events/news/nsw-beaches-cleanest-in-a-decade/). A CMP for Sydney Harbour will set the long-term strategy for the coordinated management of the coast with a focus on achieving the objectives of the Coastal Management Act 2018. These objectives include protecting and enhancing scenic value, biological diversity and ecosystem integrity and resilience. On 4th October 2018, SCCG welcomed a delegation from India; including Suresh Chandra Mahapatra and Prasanta Kumar Panigraphy from the Government of Odisha, and Anuja Sukhla from IPE Global Ltd. 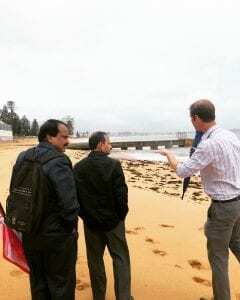 The delegation met with the SCCG to discuss coastal management in NSW, coastal processes, challenges local councils face in finding solutions to sustainable manage the coast and in sharing of costs to undertake works. The delegation shared information about their community, largely fisherman as stakeholders that are dependent on the coast for their livelihood. 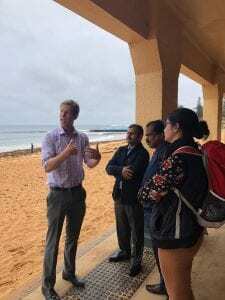 The delegation also undertook a site visit to Collaroy/Narrabeen led by Craig Morrison from Northern Beaches Council, which provided firsthand experience of the beach and coastal hazards and management challenges faced by a local council and its community. The annual State of the Beaches Report 2017/18 has been released by Beachwatch. The State of the Beaches reports on water quality of swimming locations within ocean and harbour beaches across NSW. According to the NSW News published on 19 October, 85% of the state’s swimming sites have been rated as good or very good for the first time since 2010. 90 per cent of the 97 Sydney region swimming sites tested rated good or very good with improved water quality at seven sites and decreased scores at only four. 78 per cent of the 18 North Coast swimming sites rated good or very good with two downgraded. 84 per cent of the 38 Hunter region swimming sites rated good or very good with improvements at seven sites. 53 per cent of the 32 Central Coast sites rated good or very good – a decline from the previous year due to changes in the monitoring program rather than water quality. 100 per cent of the 21 Illawarra beaches rated good or very good with improved water quality at one beach. 100 per cent of the 35 South Coast region sites rated good or very good with two sites showing decreased water quality. 81% of estuarine swimming sites are listed as goof or very good. 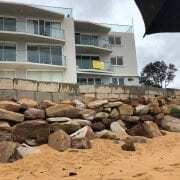 Environment Minister Gabrielle Upton said “while these figures are welcome, they also show there is still work to be done, as according to the report, coastal lakes, lagoons and estuarine swimming spots were adversely affected by heavy rainfall”. Download a copy of the State of the Beaches Report here. To read more about the Beachwatch program and to find out about the daily pollution forecasts for your local beach click here.